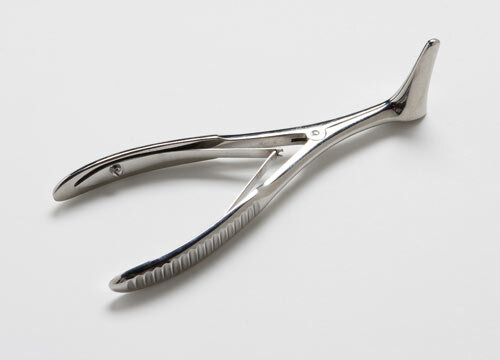 The Cloacal Speculum is a stainless steel speculum that is ideal for use with birds and reptiles. It is atraumatic and easy to use. By depressing the instrument handles, the speculum widens making visualization for procedures easier. Useful for the examination of the cloaca, to retrieve an uncontaminated culture and to visualize polyps.